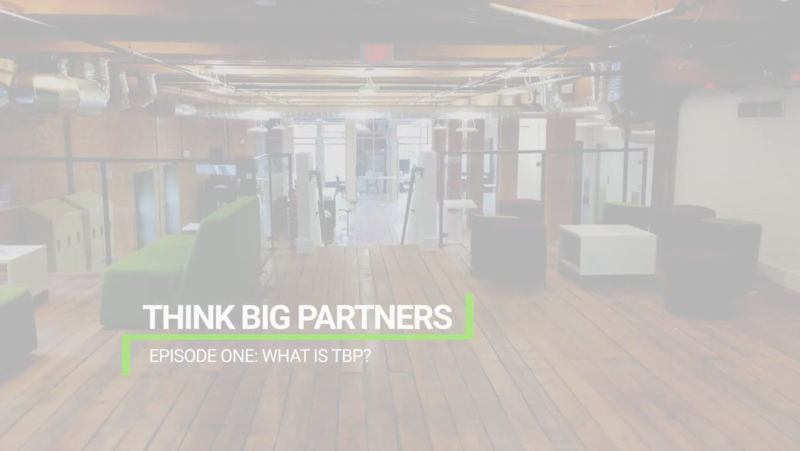 This report tells the story of Think Big Partners over 2016, demonstrating how we are making an impact for our clients, our coworking members and our community. The projects and initiatives featured in this report highlight how we have helped entrepreneurs, larger companies and cities work together to solve hard problems, create solutions that stimulate growth and ultimately build more vibrant local communities. This May saw the launch of Phase 1 of the Kansas City Smart and Connected City project along with the KC Streetcar. Think Big was the co-architect of Kansas City’s Smart and Connected City project, Cisco’s largest Smart and Connected City in the world. This collaboration with Cisco, Sprint and Think Big created a $15.7 million public-private partnership and has made Kansas City’s Smart City Corridor a leading technology, innovation and entrepreneurial community. The corridor follows the City’s 2-mile-long street car route and is one of the first economic development projects credited to the City’s modern streetcar. From the River Market to Union Station, residents will now have free access cutting-edge technologies, such as free public Wi-Fi, smart streetlights, smart traffic signals and interactive kiosks. Think Big also helps operate the KC Living Lab, a smart city-focused, internet of things emerging tech lab for entrepreneurs and large companies looking to develop technologies and create pilot partnerships that could improve city services. As the original chief project proponent with Cisco, an ongoing advisor to the City of Kansas City, Missouri (KCMO) and the operator of the KC Living Lab, Think Big has learned many things over the past three years about smart cities, Internet of Things (IoT) technologies and the impact this technology can have on cities and citizens alike. Based on our gained expertise and real-world experience in the smart city sector, we now have cities, business leaders and entrepreneurs from around the globe approaching us for advisory and consulting, while bringing economic growth opportunities to KCMO. At the end of last year, we realized we could not possibly get on enough planes to create the necessary partnerships fast enough – so we created Smart City Tech Summit. This event series brings people to Kansas City addresses to address different verticals within smart city development, share knowledge, build relationships and potentially create partnerships that benefit the public and private sector community. In Spring 2016, we conducted a Public Safety Summit that featured speakers from the CIA, FBI and DoD firms that shared knowledge on how to detect, thwart and deal with domestic terrorism (active shooter threat scenario). The event included a live demonstration of recently declassified and emerging safety technologies — including drones, satellites and more — in a mock active shooter situation. The demo illustrated what a synthesis of technologies can do to make sour cities, first responders and citizens safer in a smart city environment. This event continues to put Kansas City front and center on the world stage in the smart city technology arena. This technology saves money, improves the quality of life and even has an economic development impact on Kansas City. Stay tuned for more summits in 2017! 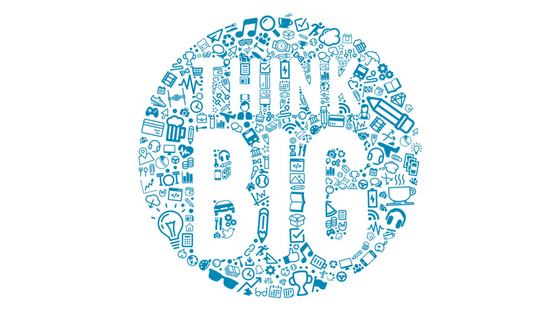 Think Big Partners continues to work with more clients for Economic Development Consulting and Workspace Consulting. Many times, we see those business lines cross together as we experienced in our project for the St. Joseph, Missouri Chamber of Commerce. After a series of community conversations and varying stakeholders, the St. Joseph Chamber approached Think Big to help assess if a shared workspace would be viable, necessary and/or an asset to the current business environment. Think Big performed a Market Feasibility Assessment for the community of St. Joseph which included focus groups, over 50 interviews, panels, review of other primary research studies, market data analysis, multiple exploration visits of the small business community and more. Coworking spaces become placemaking opportunities to create density and collaboration between otherwise unexpected parties which leads to growing businesses and an increase in talent acquisition, business and talent retention and job creation – all challenges that St. Joseph and many other communities face. Our coworking space at 1712 Main Street (24,000 square feet over floors 2 through 4) continues to grow with new member companies, productive growth of those companies and more energy in an inspiring and connected work space. Our private offices have been occupied since when we moved 23 months ago but there has been continued development (move out, expansion, downsize or move in) for 21 of those 23 months. We expanded our dedicated desk offerings in Fall 2016 to keep up with demand. There is a healthy churn of companies and connections that fuel our expanding entrepreneurial network. Our open coworking space continues to see more activity, especially in our Think Big Thursdays Free Coworking and Student Coworking program which we started in Spring 2016. We are pleased to say that companies who work at Think Big are also performing well in multiple areas. Based on our most recent Member Satisfaction Survey, over 53% of our member companies have experienced a higher happiness and morale with their teams and 50% of companies experienced revenue growth since becoming a member at Think Big Coworking with an average of 35% revenue growth with some folks quoting revenue growth of 750% since joining. 46% of companies have seen a growth in their team size and 39% have grown their breadth of services and products that they offer – that’s job creation we can get excited about! The Full Employment Council (FEC) helps provide essential job training for job seekers in the Kansas City metropolitan area and create a skilled workforce for area employers. One of the biggest challenges the Kansas City community faces, like many other communities, is a shortage of qualified workers to fill critical jobs. We started realizing the impact of this dilemma as we began building an economic early-stage company ecosystem back in 2013, when Think Big helped launch a pilot with FEC called “RE-Boot U”. RE-Boot U helped create an employment-ready workforce by “reskilling” job seekers with obsolete IT backgrounds and provided them with modernized set of technology skills to fulfill the needs of area employers. In 2016, Think Big worked with the FEC to create a unique process that helped shape the Department of Labor TechHire grant, where Kansas City and two other cities were used as a prototypical model framework. This year, Kansas City was one of nearly 50 communities to receive a grant from the Department of Labor via TechHire, and one of the select three to receive the complete $5 million. This grant will invest critical funds into the Kansas City community and will help train a more skilled IT workforce to help area companies grow through new technology capabilities. Technology is a force multiplier in every community, for every new technology job created often times another five jobs in the service sector are created too. The work done by FEC is critical to our region’s future success and we are excited to be part of it. We are excited that one of our Think Big Ventures’ portfolio investments, EyeVerify, was acquired in Fall 2016 by Ant Financial. This was big news on many fronts: Ant Financial is an arm of Alibaba and this was Alibaba’s first acquisition outside of China. This is the first big technology startup exit for Kansas City in the past few years and proves that you can build, launch and grow a company in Kansas City and flyover country! And for Think Big Ventures, it was our first exit to create tremendous investor return in just four years. Think Big was the lead investor in the first round and participated in the second round too. We are proud that our due diligence of the company enabled us to provide meaningful, essential capital when few other investors took note or considered the investment too “risky”. But after meeting with the executive team and understanding the problem they were solving; it was easy for us to make a capital commitment. We hope to have more successful exits from this portfolio and continue to review other worthwhile investment opportunities. It should be an exciting 2017. Disruptive innovation changes how we interact with the world. New solutions create new problems for entrepreneurs to solve. Groove is a new mobile technology to developed by former space engineer and serial entrepreneur Scott Tibbits to stop the very thing mobile technology created – distractive driving. Meant to eliminate potential distractions from smartphones while driving, Tibbits created Groove through Think Big portfolio company Katasi. In 2016 Katasi launched two Groove pilot programs, one with Sprint in the United States and one with a major wireless provider in Australia. For Groove to work, it ultimately needs the support of the wireless phone providers. U.S. markets have still not fully embraced this technology for a variety of mostly legal reasons at the carrier level (recognition of problem that would potentially open up litigation associated with texting while driving accidents), but Katasi continues to pursue opportunities in markets both in and outside of the U.S. It is in the discussion stage for pilot programs in Austria, Kenya and New Zealand and with two other wireless providers in the U.S.
We look forward to more progress and big news from Katasi in 2017. Distracted driving should be an unacceptable human behavior, but in absence of self-control, Groove can put an end to temptation and keep all of us safer. As a member of the first graduating class from the Think Big Accelerator, Phone2Action has a special place in our hearts, even if their success meant that they ultimately had to leave Kansas City for their natural home-base in the Nation’s Capital. Despite the geographic distance, Think Big is thrilled to continue to provide the company with advice, counsel and network introductions. In a tumultuous political year, Phone2Action has seen incredible growth and continues to be an unquestioned leader in the convergence of politics and technology. With more than 30 employees now, up from 13 in March, Phone2Action has continued to provide innovative technology solutions to businesses, trade associations, politicians and any group that requires efficient and effective grass-roots communications and advocacy. They recently moved from a global startup incubator in Washington, D.C. to a dedicated office space in Arlington, VA – Virginia Governor Terry McAuliffe was on site to open their new digs. 2016 was an exciting year as we launched a new startup built in Think Big Labs. Homebase is led by Think Big partner Blake Miller and was an idea that grew in partnership with Sunflower Development Group, a Kansas City, MO real estate development company, to innovate and develop smarter apartment communities. We see apartment buildings as an opportunity to rapidly effect the way people live in smart cities. So, we’ve developed an IoT platform for community managers and a suite of tenant applications that integrate with and control connected devices (locks, lights and thermostats), services and communication to provide a better tenant living experience and more efficient property management. Homebase is launching in its first apartment building in December 2016 with various other properties in development for launch in 2017. In March 2016, Think Big Partners and education advocate Kari Keefe teamed up to start the KC Social Innovation Center – an impact agency focusing on the social impact from technology, future workforce initiatives, and innovations in education and learning. Think Big was the chief catalyst in the Center’s formation and early success by helping to incubate and accelerate its launch, including initial financial support as a founding funder of the startup-inspired nonprofit. The KC Social Innovation Center (KCSIC) acts as a regional hub – a ‘think and do’ tank – that creates a sandbox for technology, community, investment, education and business networks to all come together to explore and catalyze solutions to bring growth, prosperity and inclusion to Kansas City. Its early focus has been applied to innovations in human capital development in smart, digital cities. Since its inception, KCSIC has experienced significant growth in a number of core impact areas and continues to expand with a priority on design thinking in human capital development in order to continue to bring about innovative pilots that disrupt learning systems, methods; and at times, the way humans support and work in these systems. We believe the bigger the challenge, the bigger the opportunity. That’s how Think Big approaches business, and it’s why we are called upon to help entrepreneurs, larger companies and cities succeed in a rapidly-evolving, ever-changing world. We are proud of all the projects and initiatives we have engaged in this year and the many successes we have achieved as an company. We look forward to more big things to come in 2017. Yes the coworking space has a great impact on startups as it help freelancers and new entrepreneurs to grow and get a chance to learn new skills and experience from the coworkers. Nice post. What is Think Big Partners?